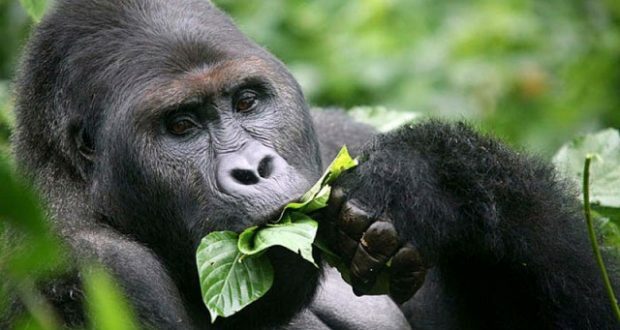 Leaf-eating primates shared very few gut microbial characteristics. Gut microbes provide many services for their hosts, including digesting their food. Researchers have long known that mammals with specialized diets, such as carnivores and anteaters, have special types of gut microbes that allow them to eat that diet. A common theme in the microbiome field is that host diet has large effects on the gut microbiome — both across lifespans (week-to-week changes in host diet change the gut microbiome) and across evolution (mammals with similar diets have similar gut microbes regardless of their evolutionary histories), said Katherine Amato, PhD, lead author of the study and assistant professor of anthropology in the Weinberg College of Arts and Sciences at Northwestern. “We conclude that although gut microbes play a critical role in supporting host dietary specializations, their impact is regulated through host physiology,” Amato said. “Evolutionary trends in host physiology outweigh dietary niche in structuring primate gut microbiomes” published online in the ISME Journal: Multidisciplinary Journal of Microbial Ecology.